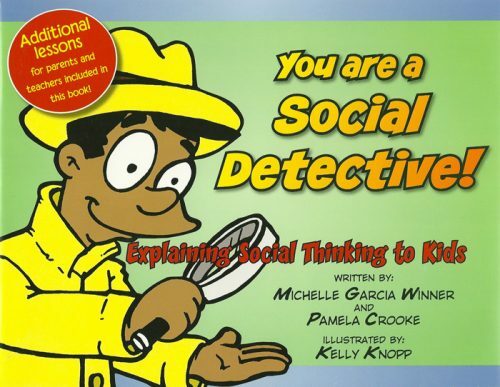 Buying Tip: A curriculum that teaches Social Thinking concepts to the neglected 9-13 age group. 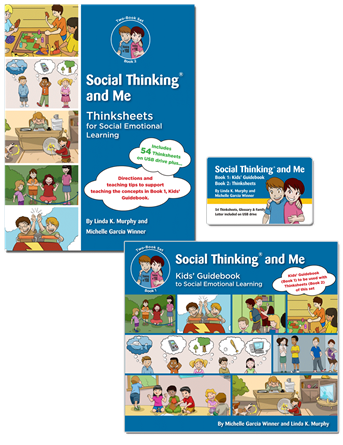 Social Thinking and Me is a powerhouse of social knowledge to help children in upper primary and middle school transition into the more socially-complex and socially-demanding older grades and become stronger social problem solvers. 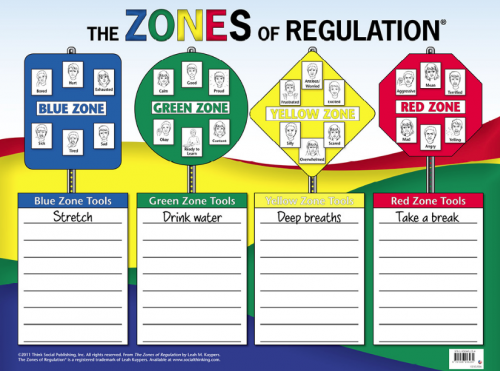 Whether it is thinking about hidden rules and expected behaviour, developing a deeper understanding of your emotions and how you influence the emotions of others, or comparing the size of your reaction to the size of the problem, this two-book set breaks larger and more complicated social concepts down into smaller chunks to make it easier for adults to teach and kids to learn. 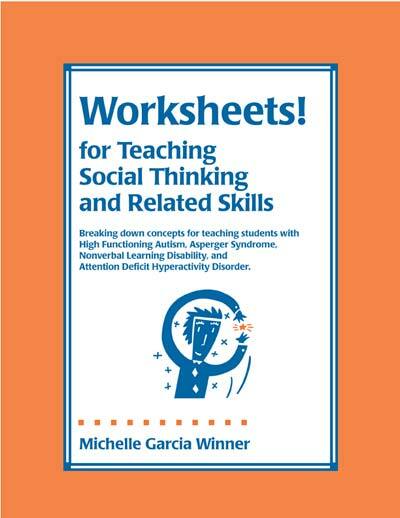 It gives teachers, administrators, students, and parents a common language to more easily discuss social strengths and weaknesses – and therefore is a natural fit for the classroom (mainstream and special needs), clinic, and home environment! Teaching materials included on USB for easy printing. 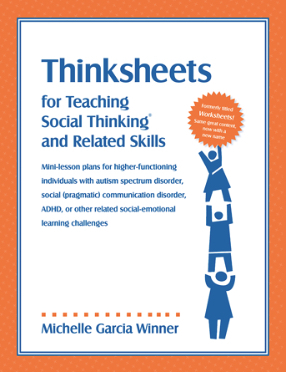 Social Thinking and Me is a multifaceted curriculum that can be used by teachers in mainstream, inclusion, or special needs classrooms, and by therapists in individual or small groups. 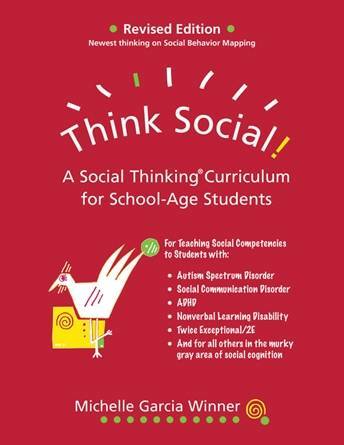 Though the curriculum is designed for students with social learning challenges, all individuals, whether or not they have a diagnosis, can benefit from learning about Social Thinking concepts. Social Thinking Vocabulary provide fundamental thinking skills that align with Common Core and state standards in the U.S. and educational standards in countries around the world. Social Thinking and Me fits well into any school working to establish a culture of caring and kindness through social and emotional learning (SEL) and/or Positive Behavioural Interventions and Supports (PBIS) as part of its over-arching school-wide goals. 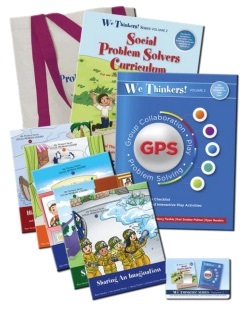 Social Thinking and Me was created to support your students’ academic and social learning needs! 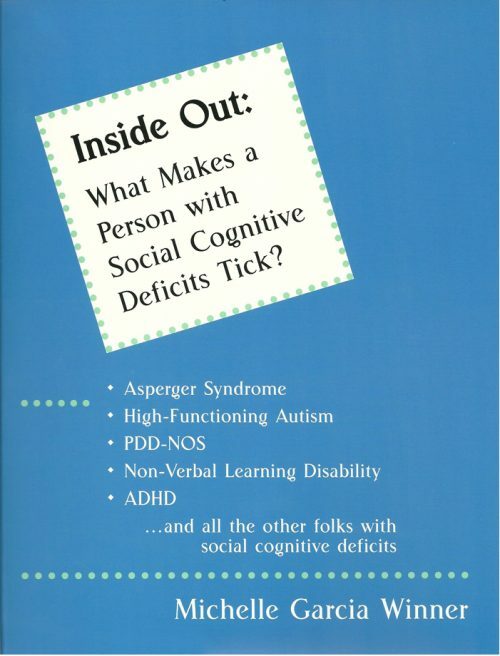 Social Thinking and Me is an invaluable tool for parents too, either to supplement what the child is learning at school or in treatment, or by itself as a resource to strengthen a child’s social competencies. Parents who homeschool their children will find Social Thinking and Me integral to teaching children about their social selves and essential skills such as perspective taking, self-awareness, self-regulation, understanding the “big picture”, expected/unexpected behaviour – the list goes on! What’s in the Two-Book Set? 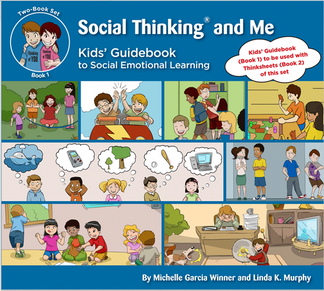 In the first book in Social Thinking and Me, Kids’ Guidebook for Social Emotional Learning, kids are introduced to Social Thinking Vocabulary and concepts that help them figure out what’s “expected” in different social contexts. Additionally, strategies are taught to give kids the tools needed to solve social problems. 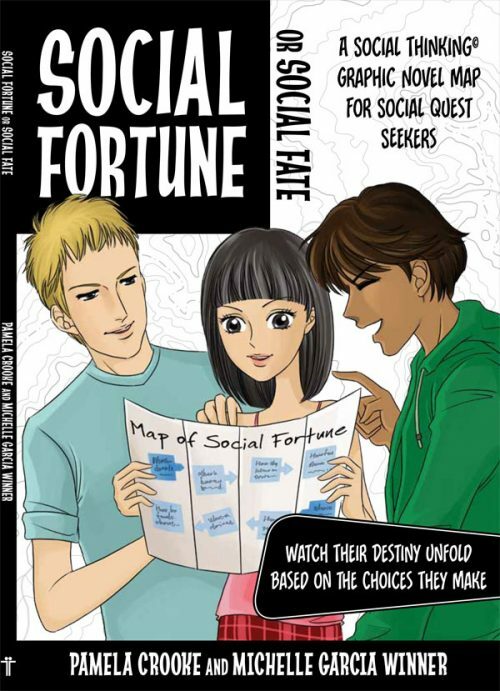 Concepts are explained using age-relevant social situations, cool illustrated pictures, and lots of group discussions that can aid each student on their journey to becoming a better social thinker. At the end of each chapter in book 1, expand and personalize the lesson by using the related thinksheets found in book 2! In response to your many requests, you can now buy the Kid’s Guidebook separately to allow each child to have his or her own book! See here. 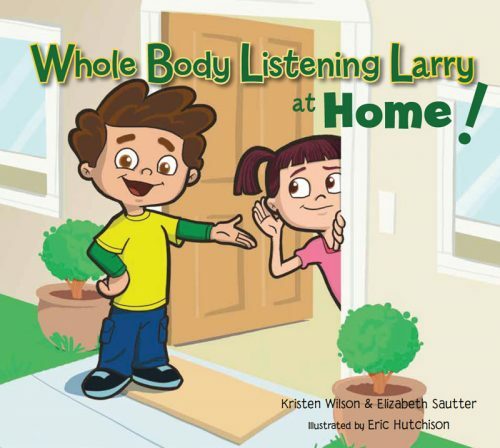 This two-book set can stand on its own to teach the Social Thinking methodology to all students ages 9-13 as part of a school-wide Positive Behavioural Interventions and Support (PBIS) initiative. It also pairs beautifully with other Social Thinking books and games for that age range. 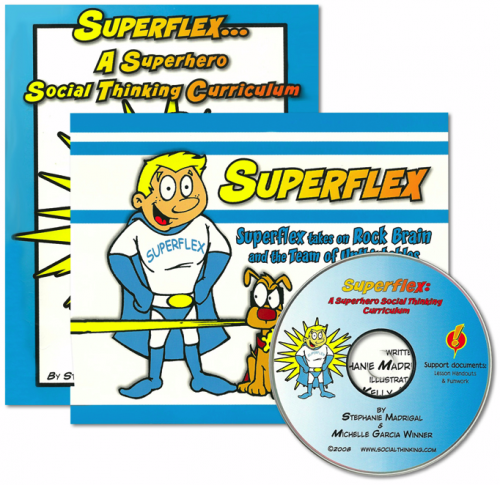 Using our Superflex™ Curriculum with your 3rd – 5th graders? Social Thinking and Me is a perfect “next step” as kids age up and out of Superflex. 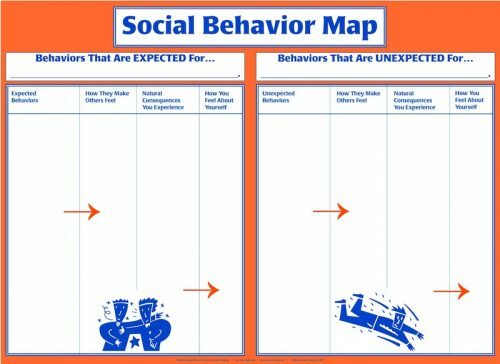 Jump right in to keep students learning about Social Thinking concepts and deepen their understanding of working in a group, hanging out with friends, figuring out expected/unexpected behaviour, and social problem solving. 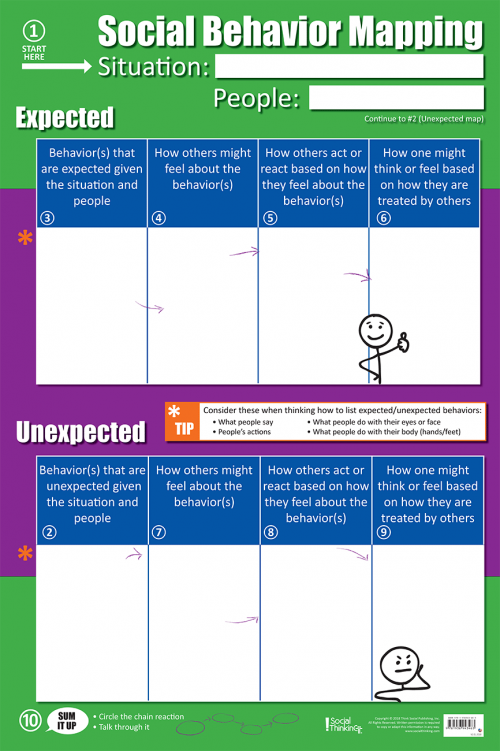 When using You Are a Social Detective, the Superflex Curriculum and Social Thinking and Me in sequence, you have a scope and sequence of helping students learn about themselves and others, all while learning to self-regulate their own behaviour.